"We knew this was going to be great – but you all exceeded our expectations. A fabulous place which we will certainly return to – fingers crossed it doesn’t change too much. It’s perfect just the way it is!" The Crog Lofts at fforest farm combine heritage quality restoration, natural materials and timeless design. 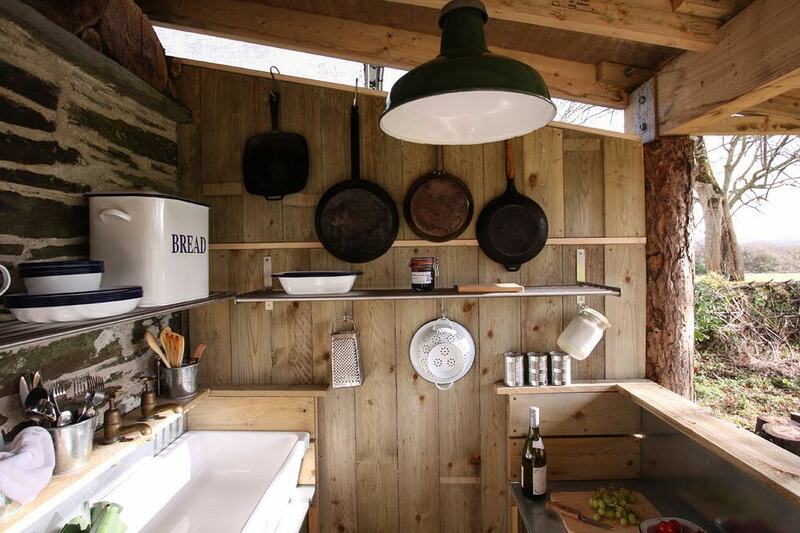 The Crog lofts create a distinct sense of place and are designed to maintain engagement with the outdoor ethos of fforest by locating dining and kitchen areas on the outside terraces, sheltered underneath the porch. There are four Crog Lofts at fforest farm, located next to each other in the farmyard area, next to Ty fforest. For some, staying in a tent, even one of ours, just isn't practical. The crog lofts allow everyone to enjoy the fforest experience, (even those who just need an extra bit of pampering), which makes it ideal for the extended family or group events. Inside you'll find slate floors with underfloor heating, luxurious bathrooms, bespoke furnishings & textiles, combined with quality mid-century furniture. Inside is all about comfort, but with the living space spilling out onto the terrace you never forget how close you are to the beauty of nature and landscape. 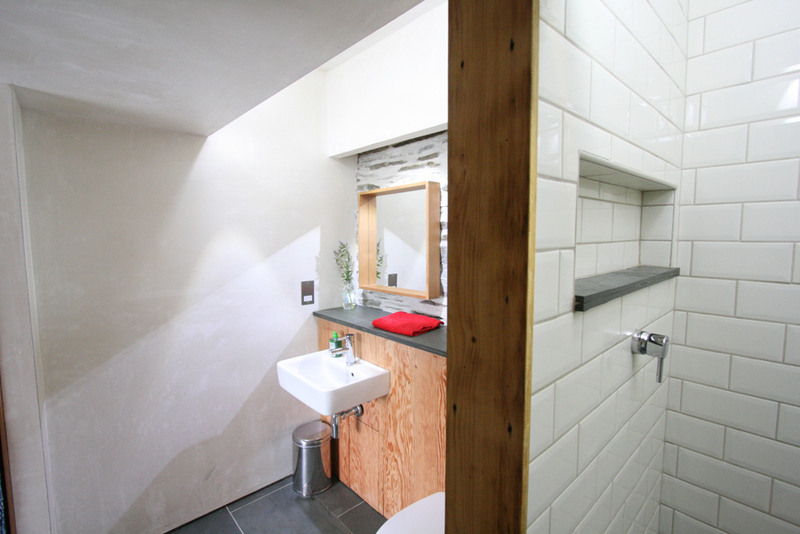 Private shower room & toilet. Private outdoor kitchen & table seating. Double bed on mezzanine with two single bunk beds downstairs. Double bed on mezzanine with double bed downstairs. 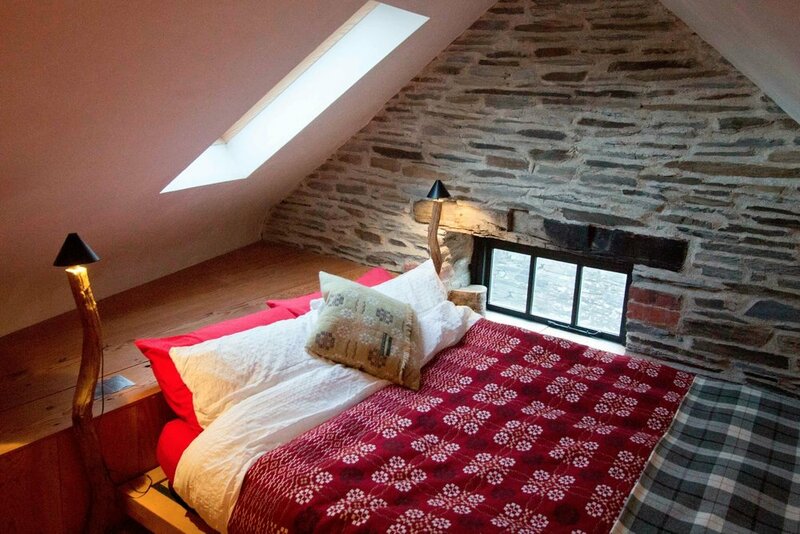 *please ask if you'd like a particular Crog Loft at the time of booking & we'll do our best to accommodate you.